On Oct 10, 2016 the State of Vermont is adopted strict new rules for rental occupancy which could render your current occupancy permit invalid. 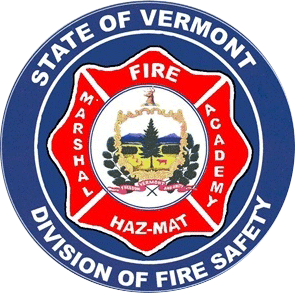 It’s important to know the requirements of these Vermont Fire Prevention Code Changes. For years, Countryside Alarms has represented building owners in the State of Vermont Fire Prevention Variance Process for commercial use of an existing building. We also help new buyers of homes who want to commercial rent or are purchasing homes which have been rented without State of Vermont approval in past. We are a private company and do not report our findings to the State of Vermont. We’re here to help our clients navigate the compliance requirements and obtain/maintain your permit with the least hassle and lowest cost possible. We will help you find and fix violations before the inspector comes. Vermont Construction permits are usually filled out by the building contractor or owner, but we can assist our clients. Vermont Fire Alarm permits, including the drawings and design engineering, along with fees, are all handled as part of our contracts. These applications can be previewed or downloaded using the links provided below. Vermont has two standards. If you sell a home for owner-occupied or vacation second home, the VT Dept. of Fire Safety Certificate of Compliance applies; this is the weaker of the state standards. However, if a Vermont building owner who is renting or has rented is to show income generation to increase the value of the home, then this form is not what needs to be submitted. Real Estate agents often get this wrong, so we recommend contacting Countryside for third party advice, at least. We’re here to help owners of Vermont property understand the difference and guide them as to which form is required for their sale. Vermont adopted a rule 101:24.1.1.1.1 in October 2005, which made rental use of a single family home sleeping over 6 bed spaces fall under the NFPA 101 Occupancy Rules. In 2012 Vermont was discussing upgrades to this rule, without any changes occurring. But now Vermont’s new 2015 rules (adopted October 2016) have expanded on the approach of this rule section. The rule section has been moved to 101:26.1.1.1.1, clearly in the commercial occupancy sections. Sleeping capacity has been increased to 8, but the balance of rules have increased the powers of the Fire Prevention Division. Prior to October 10th, 2016, the existing occupancy could be utilized during the variance & permit process. After October 10th, occupancy is prohibited if not state-approved in the past, or meets the minimums of the 2012 rules. Any rental use of a home not meeting NFPA 101:26.1.1.1.1 will have occupancy revoked and be required to file for a change of use as New Occupancy. Under 101:26.1.1.1.2., any construction after 2012 on a non-approved could also fall under 101:26.1.1.1.3 to comply for rental use. All new construction for rental use of a home shall follow 101:26.1.1.1.3. What does this mean for the Renting Home Owner? At a minimum, the State requires a sprinkler system and ADA occupant notification for a fire alarm system. In the majority of these cases we can represent you in the variance process to install a complete commercial fire alarm system in lieu of the sprinkler system. What does this mean for the purchaser of a home which new owner wants to rent? Start out early in the process, we can provide advice and direction prior to P&S contract. At a minimum, the State requires a sprinkler system and ADA occupant notification for a fire alarm system. In the majority of these cases we can represent in the variance process to install a complete commercial fire alarm system in lieu of the sprinkler system. What if purchaser is buying a home, that is said to have rental income? We can review the home for you first, without the involving of State of Vermont officials. Should the home not comply with the Rental Occupancy use, we can provide the information needed to assist you, the purchaser, in cost savings prior to purchase. At a minimum, the State requires a sprinkler system and ADA occupant notification for a fire alarm system. In the majority of these cases, we can represent you in the variance process to install a complete commercial fire alarm system in lieu of the sprinkler system. In these cases, the existing owner can be held responsible for some of the construction changes.